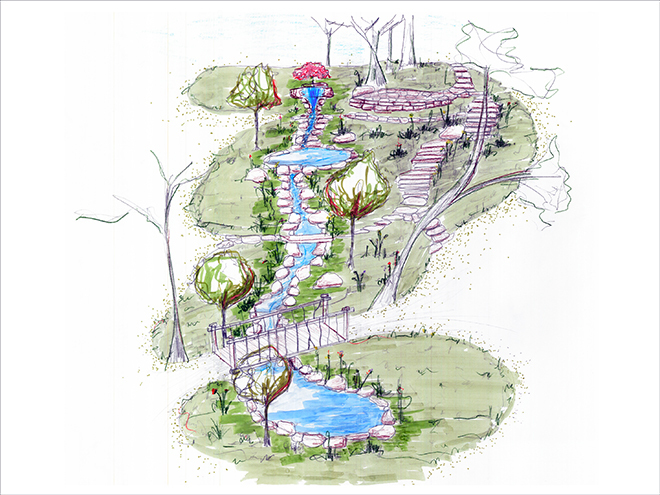 Come see Whispering Creek Landscaping at the DPVA Designers’ Showhouse at 2765 Ridgeway Rd, Oakwood, OH. Known as the High Acres-Rike Estate, this 11 acre parcel of land in Oakwood is a true treasure. We are revitalizing a water feature that was originally built in the 1920’s. Using some modern technology and hands on design we are bringing it back to life!